Uplifting and beautiful, this is the book to convince even the most sceptical that everyone in precious to God. 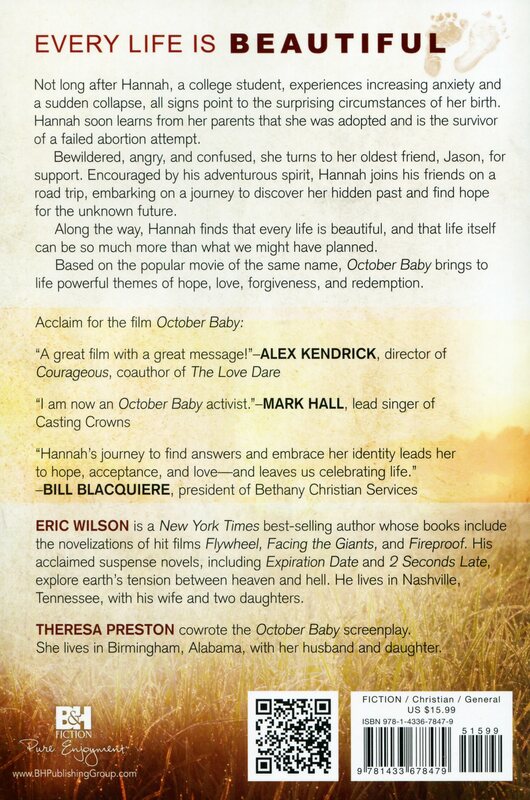 The book of the thought provoking DVD release, October Baby, leads you into the dramatic, humorous and romantic story of 19 year old Hannah. 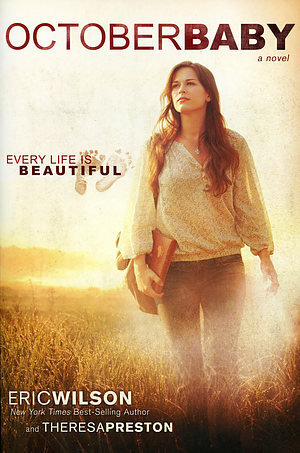 Discovering that she is the adopted survivor of an attempted abortion, Hannah embarks on an emotional road trip to find answers to the questions that have troubled her for so long. This moving novel of a young womans yearning to know who she is, is based on the award-winning movie, October Baby. It tells of Hannahs initial shock at the news, her heartbreak, anger and her yearning to experience the understanding and healing that a reunion and forgiveness might bring. With the encouragement of her supportive friend, Jason, and in a spirit of hope and adventure, they set off into the unknown in search of Hannahs biological mother, and Hannahs true self. October Baby - the paperback by Eric Wilson; Theresa Preston was published by B & H PUBLISHING GROUP in September 2012 and is our 12466th best seller. The ISBN for October Baby - the paperback is 9781433678479. Be the first to review October Baby - the paperback! Got a question? No problem! Just click here to ask us about October Baby - the paperback.